Apart from the family I was born into, the most important factor in my early life was where I was born. Yorkshire’s history is stamped on its landscape, literally and figuratively; it moulded its language, which I absorbed with my mother’s milk (and grandmother’s whiskey). Leeds is a large city in the West Riding of Yorkshire. 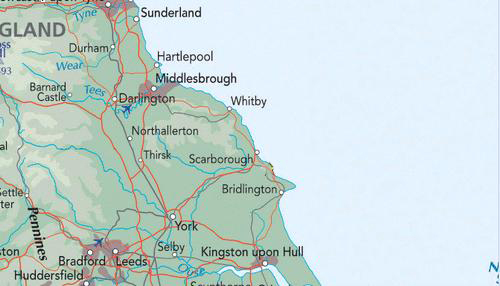 If you look at a map of Great Britain, you’ll see that Leeds is on all the big north-south roads, on a navigable river, and almost exactly at the centre of the island. Not at the centre of England, though. In English terms, Leeds was the wild and woolly north. My father, raised in London (he moved to the inimical hinterland as a teenager when his parents fled the civilised capital to escape his father’s disgrace), clung to the notion of Britain, of inheriting empire, because in this way he wouldn’t feel exiled to the fringe. My mother’s primary allegiance, on the other hand, was to Yorkshire (rather like a Texan’s to Texas, and only secondarily to the United States; Yorkshire is by far the biggest county in England and has its own identity). In their own way my parents wanted to feel secure and at the centre of what mattered. In the Iron Age, the place that was to be Leeds was an agriculturally various land enjoyed by the Brigantes, Brythonic Celts. In the first century the Romans arrived, and started building forts which became cities. Then they built nature-defying roads across hill and dale between those cities, followed by armed camps to guard those roads. The Romans left the region after about three hundred years and left the native Britons in charge again. They formed the polity of Elmet, whose people probably called themselves Loides. Around this time, Angles, Saxons and other Germanic peoples started visiting Britain and staying, forming kingdoms and acquiring territory. One of these kingdoms, Deira, absorbed Elmet. A couple of hundred years later the Norse–Danes, mainly–arrived and the region lived under the Danelaw, with its own language and coinage and culture. Gradually, after battles and negotiations and marriages and so forth, the Danelaw melded with England. And then the Normans came. By the time I showed up, 894 years after the Battle of Hastings, layer after layer of language was stamped on the place names of Yorkshire. The first street I remember living on was hilly street called Balbec Avenue. Bal is from a celtic word for hill. The city, Leeds, was the market town of the Loides. Our family would drive for day trips to Otley Chevin, a big rocky outcropping overlooking an ancient market town (Otley bears the distinction of having the most pubs per capita in the British Isles). “Chevin,” it turns out, descends from a word very similar to the Welsh (also a Brythonic language) cefn which means “hill.” On the way to the coast for a holiday, we’d drive through Wetherby, a name that comes from wedrebi, a combination of wether, that is, neutered sheep, and -by, a Norse word for settlement. The hills were called the fells, from fjell, a Norse word for hill. York (oh, I could write two pages of the evolution of that name) was built on the river Ouse, a name that comes from a Celtic root word, –udso, meaning water (water, in Irish–a Goedelic Celtic language–is uisc, which is the root of “whiskey”). The name of the River Esk, which bisectsWhitby (a town on the North Yorkshire coast), also comes from that Celtic root word for water. The River Aire, which flows through Leeds, empties into the Ouse at Airmyn, “myn” being an Anglo-Saxon word for rivermouth. Esk, Ouse, Airmyn…I had a childish vision of waves of invaders, marching along with their Roman short swords or Anglo-Saxon leaf-bladed spears or their beautiful long Norse swords, coming to a river and saying arrogantly to a local fishing along the bank, “You there, what do you people call this?” and the local scratching her head and saying, “This, your honour? We call this ‘water’. I imagined the officer nodding self-importantly and reporting to his commander, later, “…and so we forded the river, which locals hereabouts call the River Water…”And, just like that, history to me was no longer what you found in history books, but was thronged with real people. Words assumed hidden power; I began to understand them as keys to the puzzle of the universe. Words are like icebergs; nine tenths below the waterline. We don’t see the entire meaning immediately but it has mass and momentum; it matters. To me there is all the difference in the world between “muscle” and “flesh,” or “red” and “scarlet.” Rhythm and grammar matter, too. Yorkshire syntax, more than many regions of England, shows its Celtic roots, its periphrastic, roundabout manner of speaking: “Dyuh fancy going down t’pub, then?” I’m the product of two thousand years of history. But I read what I’d written and thought, Oh, it’s time. I’m ready. I’ve been preparing for this book, researching it physically, since I was a child, when the family would holiday in Filey and Hunmanby and Scarborough. In my teens I’d take day trips to Robin Hood’s Bay. In my early twenties, I was living in Hull, a depressed (and depressing) industrialised city on the river Humber (the southern boundry line of Deira, which became part of Northumbrian). For a holiday, my partner and I went north up the coast, to Whitby. The first thing I saw at Whitby was the ruined abbey on the north cliff. I didn’t wait to unpack but climbed the hundred and ninety-nine steps with my gear on my back. It’s difficult to describe how I felt when I first stepped across the threshold of the ruined abbey. It was a though the history of the place punched up through the turf and flooded me. It was like swallowing the world. I knew my life had changed, I just didn’t know how. After that, every year, sometimes twice a year, I visited Whitby. I walked the coastline. I roamed the moors. I spent hours at the abbey. I started picking up brochures and leaflets and imagining how it might have been long, long ago. Even after I moved to the US, I would come back once a year. On one visit to England, I picked up a battered 1959 Pelican paperback edition of Trevelyan’s A Shortened History of England. I started reading it on the plane on the way back to Atlanta (where I lived until 1995). I read about the Synod of Whitby and, frankly, don’t remember the rest of the flight. This, I thought, this Synod, was a pivot point in English history. Two or three years later, I stumbled across Frank Stenton’s Anglo-Saxon England. And I was off. ** For the last ten years I’ve been groping my way through ever more modern scholarship. I’ve been reading bilingual versions of Old English and Old Welsh poetry, absorbing the latest translations of Isidore’s Etymologies, thumbing through translations of Bede, thinking, thinking, thinking. Dreaming in the rich rolling rhythms of another time and place. This is the most exciting project I’ve ever embarked upon. It’s changing my world. * I wrote this as story, not scholarship. Still, if I’ve made any egregious errors, do please let me know. ** If I recall correctly, I had vague notions of writing a book–but an alternate history, in which the Synod decided against ‘Roman’ Christianity and for ‘Celtic’ Christianity. That would have changed the world as we know it radically. If you’ve read yesterday and today’s posts, you’ll have a sense of just how much I’ve learnt–and how much I have still to learn–in the service of this project. I’ve had to invent a lot, too. But here’s the thing: I’ve loved every minute of it. I live for a challenge. When I began, I thought it would be impossible. But it’s turning out not to be. Not quite. At least not yet. But every day there’s something I have to invent–either in terms of world-building or writerly technique–and there isn’t a minute where I can coast. Being alert every second makes me feel vital, alive. And it’s an absolute blast to build a whole world and grow Hild inside, watch her respond to the people and events around her. Walking across that threshold may turn out to be one of the best steps I’ve ever taken. when is hild due for release? I don't have a pub date. I'd guess next year, but don't know for sure. Yet. 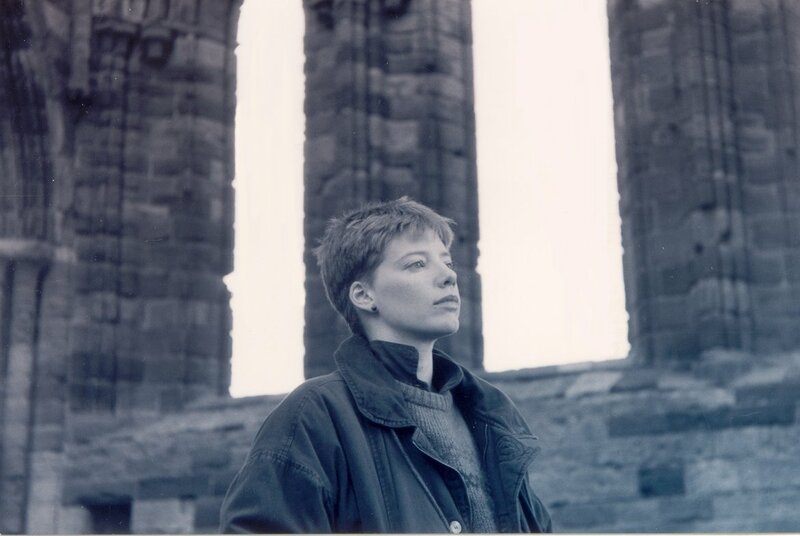 So glad to hear where that picture–Nicola Enraptured–came from. When I chose my “author picture” it was one taken 44 years ago at Newgrange, because I always suspected that my visit there changed me in some essential way. It's amazing, isn't it, to feel those internal gears…shift. I felt it. It wrenched my mind off its hinges, then put it back. But I knew everything was different. Lucky you! It took me years before I discovered what I was supposed to be doing! Well, as you can, it took me years, too, to figure it out. It's just the nature of the beast. Nichola, I haven't read your book although I'd love to someday. If you could compare your writing style to anyone's who would that be? I grew up reading Nora Lofts books and grew to love a good fact based, historical book. I love detailed accounts of daily living in the far past. I also read POPE JOAN, (I don't remember who wrote it), and was delighted that she actually existed, even with artistic license of the author.. The movie followed the book rather well, but we all know books have more details. So I was delighted to hear of yet another female in the church who changed history. I look forward to reading your book. Y'know, I've never yet read an author's commentary on her/his own style that I found satisfactory. So maybe it's best if you read the book for yourself and decide. Enjoy!